Home / Chafing Fuel / Chafing fuel liquid with wick, (x72) – from 70p per can! 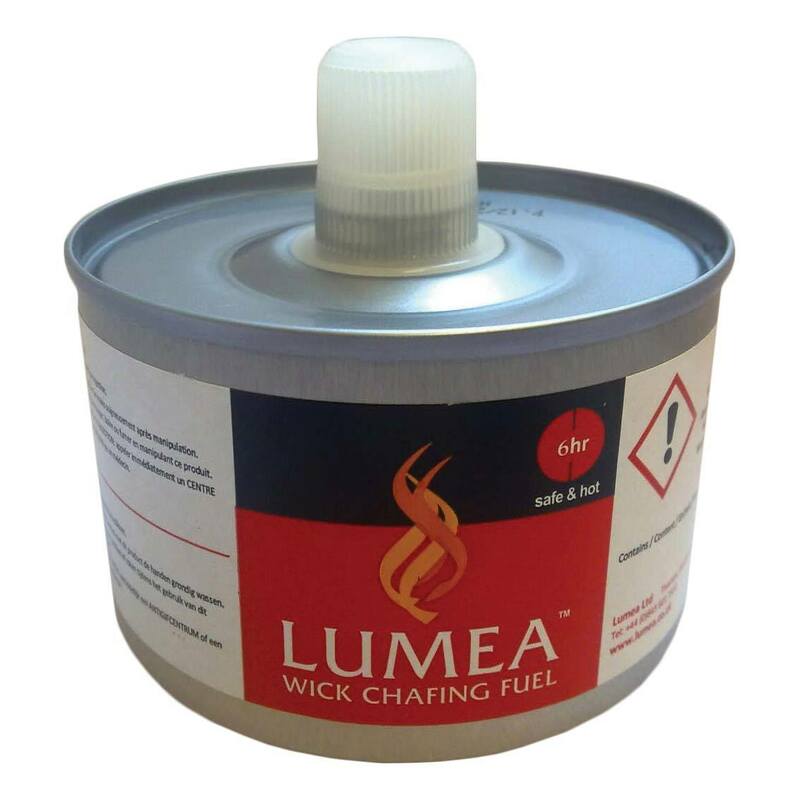 Chafing fuel liquid with wick, (x72) – from 70p per can! Up to 6-hour wick chafing fuel – case of 72. Perfect for continued regular use! 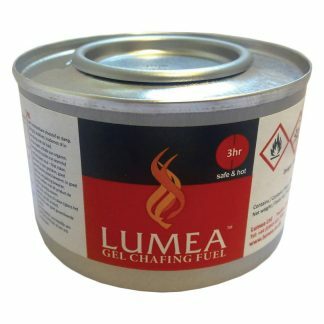 Lumea’s liquid chafing fuel liquid is your cost-efficient, clean burning, quieter & safer than most other portable heat sources for your food & beverage heating needs. Can dimensions: 6.6cm (h) x 8.2cm (d). PLEASE NOTE: Half Pallet and Full Pallet orders will be delivered on a standard UK pallet and will require a forklift available on site for offloading. 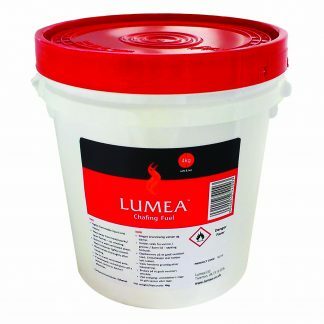 If you require more than 18 cases but do not have offloading facilities available, please contact the sales@lumea.co.uk prior to placing your order. Chafing Fuel Gel (x72) – From 30p per can!